Malaysia is an incredibly diverse country, containing many different ethnicities, languages and religions. People from each ethnicity have generally retained their ancestors’ cultural customs. As a result, Malaysian society accommodates a rich variety of lifestyles, beliefs and values. The following information describes general Malaysian culture, tending to reflect the Malay majority; however, there are many divergences from this cultural mainstream throughout the country. Learning as much as possible about your Malaysian counterparts' home region, ethnicity and religion beforehand can help you develop respectful relationships with them. The majority of Malaysians (around 51%) are Malays. Almost all of them are Muslim, which explains why the ethnicity is commonly referred to as ‘Muslim Malay’. Being the most populous ethnicity, they dominate the political sphere. Their predominance is reflected in the official religion (Islam) and language of the country. For example, most communities speak a version of Malay (officially known as Bahasa Malaysia) to some degree. While most Malays live in urban areas, they are traditionally associated with the rural hinterlands. Malays often have a fatalistic worldview, leading them to attribute successes, opportunities and misfortunes to the will of God. Furthermore, care and attention to human interactions may be prioritised over deadlines or monetary success. Malay culture perceives courtesy and respect as principal moral values that should take precedence over others. Prosperity is derived from nobility, not necessarily the accumulation of wealth. Because of these cultural attitudes, members of the Malay majority tend to be less focused on economic pursuits than other ethnic groups. However, that has been negatively misconstrued as somehow suggesting a cultural lack of ambition or even laziness. On the contrary, it reflects the Malay view that relationship building is especially important and should not be approached lightly. They tend to be family-oriented people, choosing not to work overseas as much as other ethnicities and instead living within close proximity of their family networks. Aboriginal ethnicities make up 11.8% of the population. Though they are a minority of the national population, they are the majority in the less urbanised regions of East Malaysia. Being the oldest inhabitants of Malaysia, these aboriginal communities often have traditional languages, religions and customs particular to their tribe. While they are collectively referred to as ‘Orang Asli’ (“original people”), there are distinct differences between the various tribes. Many Orang Asli communities still practise their traditional culture – for example, continuing a nomadic lifestyle or living in shared communes. Some have been forced off their traditional lands by land clearances and have had to adopt a more urbanised lifestyle. 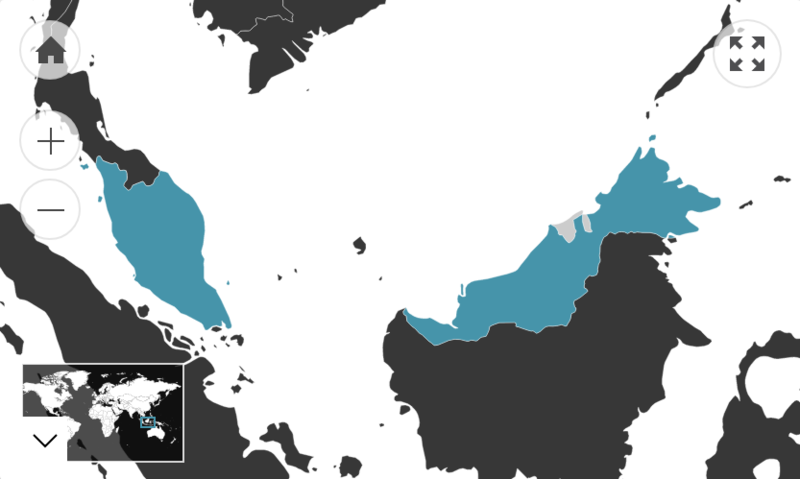 The biggest indigenous group is the Iban, with a population of approximately 600,000. There are also smaller groups of Bidayuhs, Kadazan and Negritos, among many others. Malaysia has significant populations of people with foreign ancestry who mostly live in the cities. There are small populations of Indonesians, Nepalese, Filipinos and Europeans. However, the largest minority groups consist of Chinese-Malaysians (generally Han-Chinese) who make up 22.6% of the Malaysian population, and Indian-Malaysians (majority Tamil) who make up 6.7%. Many members of these groups are descendants of labourers that migrated to Malaysia in the late 19th and early 20th century during British colonial rule. Some now have third-or even fourth-generation roots in the country. The Chinese-Malaysian population generally exhibits great diligence and resilience. This can be partially attributed to a common concept in Chinese migrant communities – ‘kiasu’, the “fear of losing”. Kiasu motivates people to achieve in everyday life as well as economically or academically. This can be something as small as endeavouring to get to the front of a crowd or determinedly queuing for great lengths to buy or see something, or it can manifest in bigger ways (for example, aiming to be the best student in a university). As a result, Chinese-Malaysians generally strive industriously to achieve what they want. However, they tend not to openly exhibit aggressiveness in their approach; they generally maintain poise and courtesy since being forceful is considered inharmonious behaviour. Nonetheless, Chinese-Malaysians have come to dominate roughly 70% of the Malaysian economy and are regarded as the business-savvy ethnic group of Malaysia. They make up a large proportion of the upper class. Many Malays have perceived this as a monopolisation of the corporate sector, provoking underlying tension and mistrust between the Malays and the Chinese. Ethnicities with international origins may face social barriers for being ‘pendatang’ (newcomers). This is due to the social identifier that categorises Malaysians as either Bumiputera or non-Bumiputera. Bumiputera literally translates as “sons of the soil” and refers to those who are considered to be the original inhabitants of the country (i.e. Malays and Orang Asli). The word does not describe an ethnic group, but rather signifies a social status of indigeneity. Bumiputera citizens’ rights are commonly prioritised in politics as well as in other public and some private sectors of society. In this way, Malay interests are commonly privileged over those of other ethnicities whilst the Orang Asli minority remains somewhat more marginalised. Chinese-Malaysians and Indian-Malaysians can be particularly disadvantaged by this system as non-Bumiputera status can hinder their access to education, jobs, property ownership, scholarships and other opportunities. This may explain why the majority of the Malaysian migrants in Australia are Chinese-Malaysian (62.1%) and only 13.2% are Malay. Nevertheless, this political stance rarely translates into day-to-day discrimination between people. Despite the difference in their ethnicities’ origins, Malaysians of all backgrounds generally feel a personal loyalty to the country. As members of such a multicultural society, Malaysians are generally very attentive towards how they respectfully interact with people of all backgrounds. There are cultural norms and taboos that inform what people generally believe to be appropriate and inappropriate behaviour. This is related to the Malay concept of ‘budi’ by which politeness and respect are considered essential to human interaction. The word does not have a direct English equivalent, but can be generally understood to describe attributes such as one’s wisdom, virtue, etiquette and morality. In this way, one can see that Malaysian politeness and etiquette have a strong ethical basis. Though budi is a traditional Malay concept, the attitude has influenced the broader Malaysian social culture and is reflected in the behaviour of people from most backgrounds. In keeping with budi, one should be gracious, polite, good-natured and calm. Indeed, Malaysians are generally quite gentle, reserved and discreet. They are often modest in their attire, body language and demeanour and tend to approach daily life with a great deal of patience. This behaviour is considered ‘halus’ (refined) and the measure of a ‘budi bahasa’ (man of culture). Alternatively, those who are aggressive, abrasive or loud are considered uncouth or ‘kasar’ (crass/rough). These social expectations are shifting among the younger generation as they are becoming more accustomed to the direct style of communication that occurs in the online space. Nevertheless, it remains very important to maintain a gentle and indirect demeanour in Malaysia. In Malaysian culture, to do something inappropriate brings ‘malu’ (shame, shyness and embarrassment) upon an individual. These feelings of shame are commonly felt when an individual loses ‘face’. Face is the quality embedded in most Asian cultures that indicates a person's reputation, influence, dignity and honour. By complimenting people, showing them respect or doing something to increase their self-esteem, you give them face. Similarly, people can lose face and save or build face. Therefore, individuals in Malaysia usually act deliberately and with restraint to protect their self-worth and peer perception. Conservative conduct is the norm, as people don’t want to stand out and/or risk losing face by doing something inappropriate. Malaysia is far more collectivistic than Western societies and individuals perceive themselves to be members of groups (i.e. their family, business or ethnicity). These groups reflect or come to define who their members are and often demand a high degree of loyalty. For example, the group’s interests usually supersede those of the individual, even if they conflict. Furthermore, group members expect to receive preferential treatment over anyone who is not part of the group. In return for this loyalty, an individual gains a sense of belonging, protection and unity. Being a collectivist culture, feelings of shame and pride can be felt at the individual level as well as the collective level. In this way, the actions of one individual can affect the reputation of the group they belong to. Malaysians generally exhibit a strong acceptance of social hierarchies. People tend to feel comfortable when they are able to distinguish another person’s status relative to them. It enables them to adjust their behaviour accordingly to show the appropriate amount of respect. An individual’s level of education often establishes their status in Malaysia. English proficiency and overseas education further enhances social standing and prestige. Wealth also becomes a factor, as those who have it tend to exhibit it. For example, the vehicle people drive is usually indicative of their class status. This has increased as society has become more cosmopolitan and materialistic. Nevertheless, people are not overly ostentatious about their money. Age usually becomes the overriding factor that determines the level of respect a person commands throughout society. Elders are presumed to have great wisdom and be very deserving of authority. People tend to spend a lot of time with the older generation and give them the most attention in a room. Malaysians may use honorific speech and bow slightly when talking to someone older than them. Broadly, Malaysians come across as strikingly friendly and positive people. Their collective cultural focus on relationships and people means that they are exceedingly considerate in most situations. Today, the common Malaysian social attitude is based on striving for democracy, formal education, equal opportunities for the different races and respect of other religions. The country is unified by a strong cultural belief in the goodness of humanity.